Is there something that is holding back your website from getting high ranking on search engines? 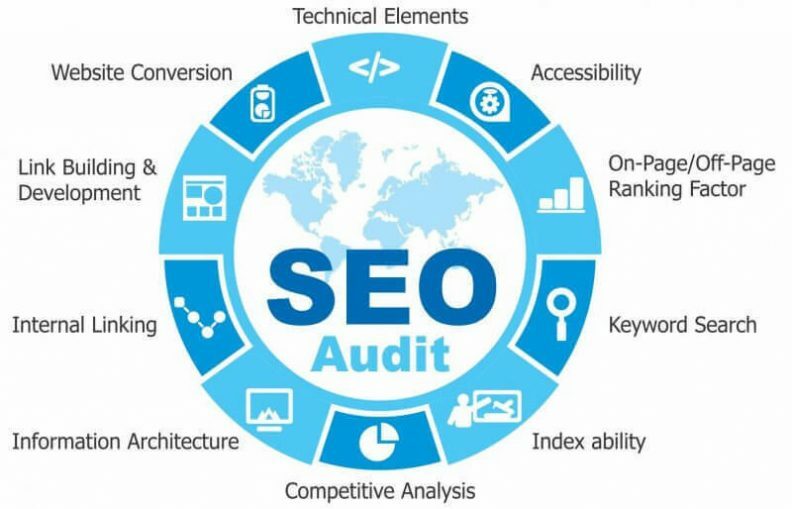 If you have not performed SEO audit of your site yet, you may be missing out on rankings your site truly deserve. SEO is one of the vital things that people look after when launching their website. Other may optimize the content but often we don’t pay much attention to it. So be honest here, when was the last time you checked that everything was fine and you were getting right results if we talk about online authority and traffic? If its bee more than a few months, it is surely time that you take another look. SEO rules change very often and so your site may not be complying with the present SEO practices. For those of you who still think that voice search is just another fad, you are making a grave mistake. Early adopters have already embraced this new change in the SEO. The major reason for the rise of the voice search is the basic human tendency of preferring conversing overwriting. Another benefit of voice search is that they are faster. If you are still not convinced that voice search is expanding its horizon, we have a few stats to support our claim. As of writing this post, there are over 33 million voice-first devices into circulation. The number is only increasing and it is becoming more and more convenient for people to use voice for search. The smartphones are a major driver of this shift in search characteristic. All modern-day phones are provided with assistants that have ridiculous artificial intelligence. During a 2017 SEO survey, voice search already stood at no.3 in the trends. To make things official, during the keynote event, Google CEO Sundar Pichai announced that 20% of mobile queries are voice searches. All of these reasons should be good enough for you to start investing in voice search SEO. This article will be all about optimizing your content for voice search. But before we start, let’s have a look at the history. Remember when Google made another dent in the SEO realm with its Hummingbird update? Launched in 2013 the whole purpose of the update was to restructure the search results based on users’ intent and context of their queries. This update essentially put a stop on the practice of keyword stuffing and forcing marketers to actually consider the needs of the target audience. Now voice search integration is a build on same relevance to further improve the user search experience with semantics. 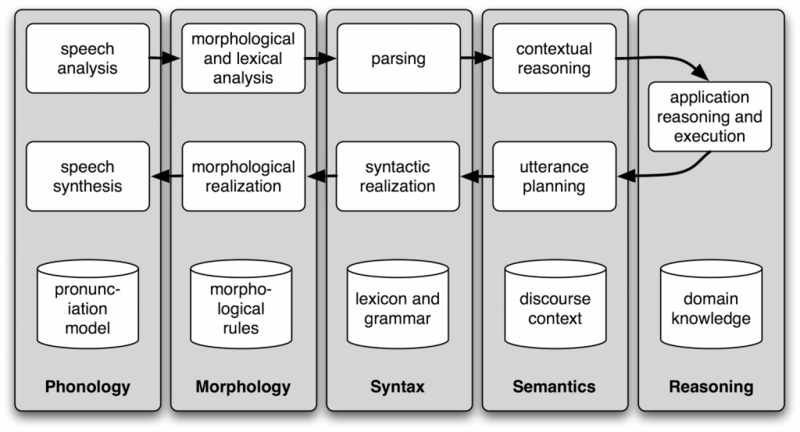 There is extensive use of NLP or Natural Language Processing in voice technology to recognize texture, intent, and interests. Now here’s some science for you to understand. Machine learning is at the core of Google’s search algorithm and you add voice search to it. Google gradually learns to interpret your search intent and your accent with time. To optimize your content for voice search, you need to understand its characteristics first. While we are using a computer to search on Google, the process of typing is physical and we try to minimize the efforts by limiting the number of words in our search queries. However, when using voice search on mobiles, we are in a conversation with the virtual assistant. Powered by artificial intelligence the virtual assistants become smarter with every conversation. Mostly voice searches have a question or a command. And it is found that the speech searches tend to be longer than text searches. Do not expect to use keyword research tools to find out long tail keywords that you can use in your content. Voice searches have a more of an asking intent and that’s why they have more question phrases. Think of what your target audience has in mind when they think of your product, service or business. That’s when you will know what words your audience is most likely to use. You need to think about how your audience speaks about your business, products, and services. Instead of using the LSI graph tools, I recommend you the Answer the Public tool. When you enter the keyword in this tool, it will come up with a number of related questions. Here are some of the results I got when I searched for a Xbox in the tool. As you can see the outcome is very insightful. 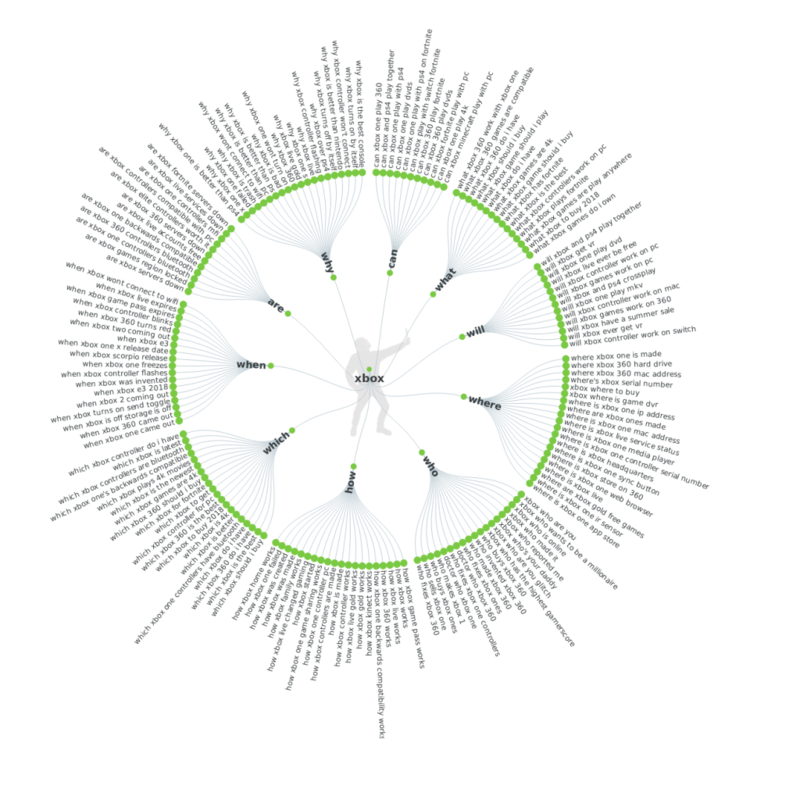 You can see what all queries are expected to be searched by a consumer. With this tool, you get natural language phrases. It is important to understand the who, why and what of a content you produce to optimize it for voice search. As proven time and again Google emphasize on user’s intent and the content that engages them. With voice search, the scope of irrelevant content to rank will be entirely demolished. As per this Internet Trends 2016 Report, 22% of people who use the voice search look for local information. This trend makes sense when you think of the rise in the number of smartphones over the years. People use mobile phones on the go and Google released the growth in searches with “near me.” There is an astounding 130% YoY growth in such searches. Now voice search makes it further easier for users to search for local queries. How can you benefit from this trend? As we mentioned before the main objective of voice searches is for personal assistance. You should not expect searchers to visit your website. There is clear intent of users with voice search and it is to find local businesses. For instance, if a user wants to find a restaurant near him, Google will answer with restaurant names, their addresses, timings, and reviews. Based on the reviews and other preference users might click the ‘call’ button. In the case of information related queries, the user will want direct answers. You have a better chance of showing up in the voice research if your content is shown in the featured snippet. How to leverage this characteristic? Start with garnering positive reviews for your business on and update all business details in your Google Business Page like physical address, working hours and else. 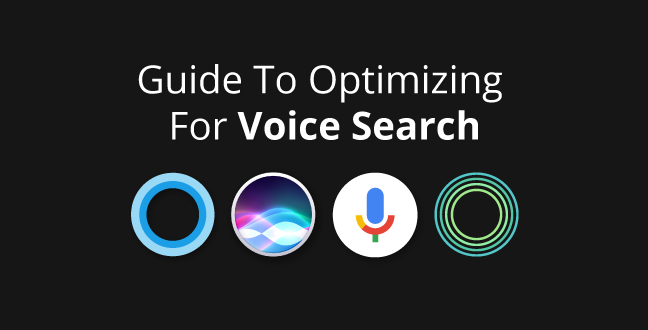 With these characteristics in mind, let’s have a look at how you can optimize your content for voice search. It is a good thing that you create content solely for your audience. However, when raking a page Google also look at some other factors to determine its relevance. Professional SEOs are known to leverage these additional factors to rank their content higher in search results. 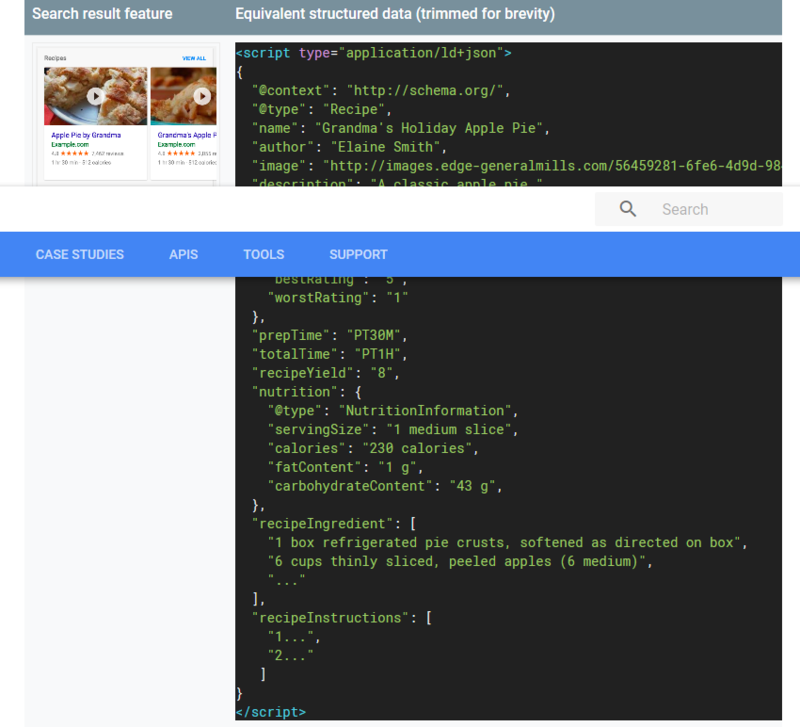 One of the important factors is the Schema Markup or Structured Data. There is no direct association of this format with ranking but it can definitely provide you with an edge in the competition. Added to your site code the schema markup is the metadata that helps search engines to classify and organize the content on your site. If you are wondering why most webmasters miss on this technique, it’s because it requires a bit of more work. This is what a markup looks like, as detailed by Google. As it is evidently clear, that adding such schema to your code will provide much-needed metadata about your business to the search engine. Here’s another reference of how a review post with schema markup appears in Google’s top result. Now comes the big questions, how can markup data make sense for voice search? I mentioned it earlier that mostly voice search queries are carried out because the user is looking for some contact information, operational hours, address or directions. Making use of microdata you can classify such information about your business. Google will be able to quickly retrieve this information from your website’s markup. Again, the same local-business-for-voice-search rule applies here. As voice search has a high number of local search queries, it is important to have proper business address details added to your website footer. As customers are used to seeing business addresses at the bottom of the websites they will be looking for the same on your website too. Broadly, someone looking for a local business follows two formats. Either they search for the business with city name like “Restaurant in Wales” or they do a “near me” query like “restaurant near me”. For the latter one, Google relies on your My Business listing and user’s locations to fetch the results. This is the reason why you should have a Google My Business listing. Furthermore, make sure your listing has all the correct information. The introduction field need not be too brief and you can make it long to accommodate all the information you need to detail about products and services. Voice search finds its major use on mobile devices which in turn makes it inevitable that you have a mobile-friendly website to optimize for voice search. If you are using WordPress, then most probably your theme is inherently mobile friendly. But, those of you who are not sure if you have a mobile-friendly site or not, can make use of Google’s Mobile-Friendly Test Tool. Google will tell you if your web page is mobile friendly or not. If not, it will recommend the necessary steps need to be taken to fix the issues. Now, mobile friendliness is the first step, next is to ensure your website is fast. You can use the PageSpeed Insights to find out the performance of your website. We score 84 on the test, and you can see Google recommends some optimizations that can further improve our site performance. Once you fix the site speed errors move to content. Produce mobile friendly content as proposed by Neil Patel. You need to carefully observe the questions your target audience uses to know about you when they are using voice search. Based on the phrases and questions you get, you need to produce content around the same. I will recommend against the single page FAQ. You should create dedicated posts around customers’ questions. Better optimize your existing content around customer queries. No one can predict the exact future of the voice search. However, at this moment the reality remains that voice search is gaining traction and it shows no sign of slowing down. As a marketer, webmaster or an SEO, you cannot afford to ignore the growth of voice search. Embrace the power of voice search and start optimizing your content for the same. The sooner you are able to get your content closer to the human language the better are your chances of outperforming your competitors. 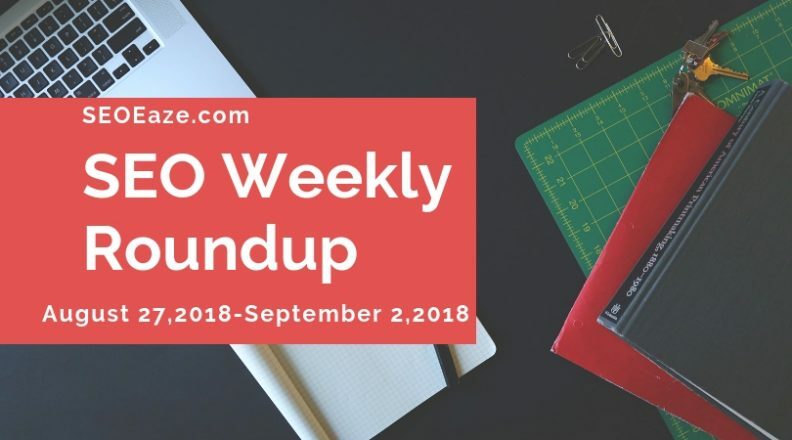 How are you doing this week, SEO Folks! Well as Google or any other search engine had no new updates rolled out, so the scene last week was pretty set. There were no reports of the Medic broad core update by Google causing fluctuation in the search results. It is a sign of relief, but what were the updates, if any, in the SEO realm if any? Let’s start with this week’s SEOEaze’s roundup. It has been kind of on and off discussion among webmasters. But, Google’s John Mueller while replying to a tweet made it clear that the source of the link alone is not the decisive factor if a link has a negative impact or not. 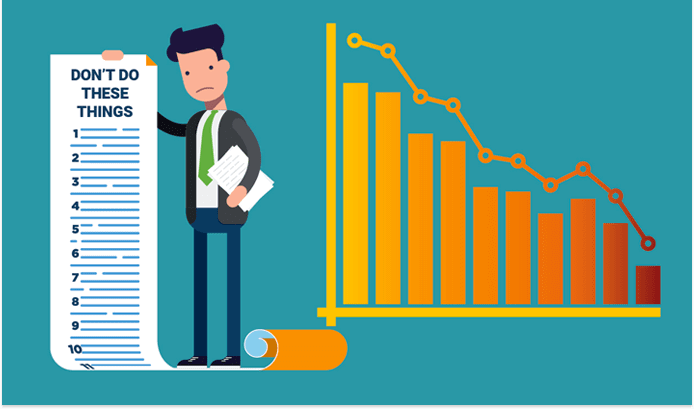 After the Google Penguin outcry, it was noted that the search giant made it clear that while ranking websites the new algorithm update looks at the content source and not the destination. Signaling on the method how a link quality is evaluated, Mueller said factors like how the link got on a source matters. So, Penguin knows how a link got placed on a source? It’s hard to say. Google must have a criterion that looks at several other factors while deciding the quality of the link and how it affects the destination. Again this statement has made it clear that the intent of the content is what matters most, rest all is icing the cake. Moving on, one of the Twitterati noted something pleasantly surprising about Google search. Google is surprising more and more users with brand new design tests in the core SERPs. This time it’s a rounded search box that sticks at the top of the browser window when you scroll down the SERP. Since then we have heard from a lot of people noticing the new sticky search box. Before this Google test the rounded search box design on Mobile a few months ago.